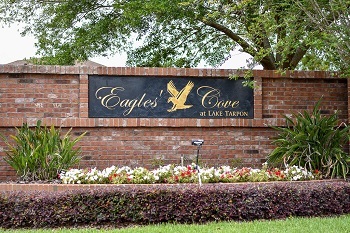 The exclusive and gated community of Eagles Cove, located in the East Lake corridor of Palm Harbor, is a recently constructed and unique neighborhood with only fourteen homes from a variety of custom design builders. 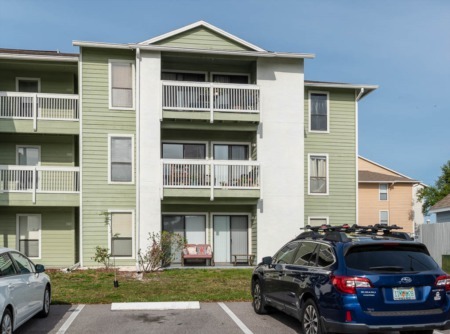 It has its own private boat ramp and dock for easy access to Lake Tarpon. Eagles Cove luxury homes for sale, are situated off East Lake Rd, range from roughly 3300 to approximately 4000 sq. ft. and offer more of gracious and gorgeous amenities such as elaborate formal living and dining rooms with crown molding, butler's pantries, upstairs bonus rooms, four and five bedrooms, massive walk in closets, gourmet kitchens with granite countertops, tile backsplash, double ovens, Jenn-Air appliances surrounded with brick or stone, ceramic tile, wall to wall carpeting, and quality hardwood flooring. Enjoy the heated, in-ground and screen enclosed large pools with raised spill over spas, surround sound, and child safety fence. Lots of room in the 3+ car garages. Watch deer and soaring eagles among the natural setting of abundant trees from the privacy of your own backyard. These are the ideal homes for entertaining family and friends. Convenient to golf, shopping and airports. Great North Pinellas County school system. 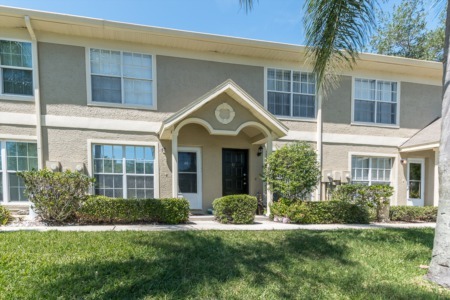 Contact us to put a watch on this Florida neighborhood, it rarely becomes available. Selling your home in Eagles Cove? You can trust us at Lipply Real Estate to get you an amazing deal on the sale of your home. Simply set up a meeting with one of our highly qualified agents and we'll get the ball rolling! You can call us at 727-314-1000 or contact us through the form below.